Welcome to the Laugh Out Loud Yoga, a portal to mirth, merriment and mayhem! Please explore our pages and find out more. 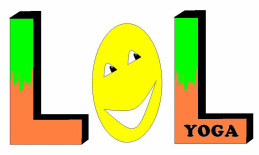 When applied liberally laughter is known to cause people to actually enjoy their stress!